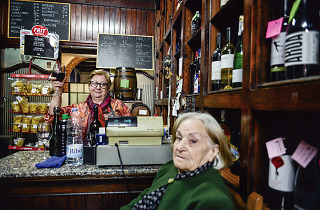 Many of the old bodegas that have survived to the present day look a little ramshackle. But not Bodega Sopena, which is eye-catching from the street with its wood-framed door, 3-D lettering and neat, modernist calligraphy announcing the products on sale inside. 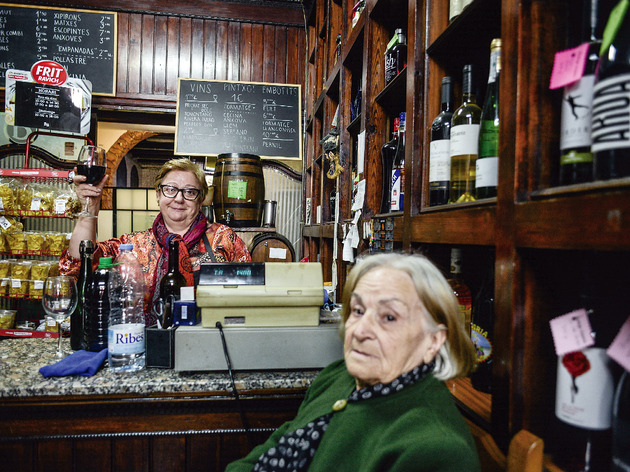 The Sopena functions more as a shop than a bar: it sells cask wine and spirits as well as bottles, and has a formidable range of local beers and cava. The wine tasting area consists of a few chairs scattered around and some tins of conserves to accompany the wine. They even sells fresh eggs, displayed in traditional metal baskets.